Charles Hart had a plat and grant for 500 acres on the high bluff located at the intersection of the Great Pee Dee River and Thoroughfare Creek (2, p. 364). 1732 or 1733  William Waties Jr obtained the 500 acres from Charles Hart (2, p. 364). 1735  William Waties Jr increase the plantation's property by obtaining an additional 450 acres from Thomas Westbury (2, p. 364). 1743  William Waties Jr died and it appears he left the plantation to his son John Waties (2, p. 364). 1760  John Waties died and his will stipulated the plantation was to be sold and the proceeds divided among his wife and two sons when they came of age. 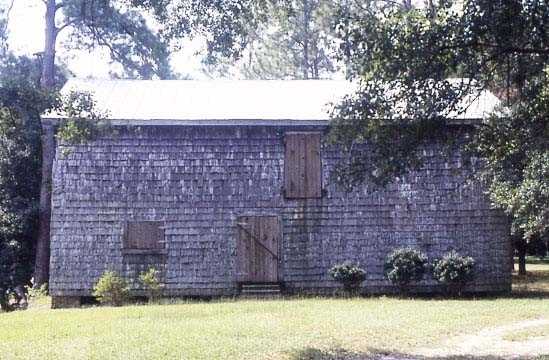 The plantation had a house, kitchen building, and barn at this time (2, p. 365). 1760  William Coachman purchased Hasty Point (2, p. 365). 1761  Coachman sold 196 acres of the plantation to John Waties, brother Thomas, and the balance of 1,440 acres to John Postell (2, p. 365).
?  John Postell left Hasty Point to his sons John and Jehu. They divided the property into two sections with John taking the northern section which became Belle Rive Plantation. Jehu owned the southern section which he continued to call Hasty Point (2, p. 366). 1820  A Robert Mills map of this year has the family name 'Bossard' noted on Hasty Point Plantation. It is believed there was a marriage between a descendent of Jehu Postell and the Bossard family, most likely Joseph S. Bossard (2, p. 366). 1834  Hasty Point Plantation was advertised for sale offered by the estate of Matthew Allen (2, p. 368).
?  Davison McDowell purchased the plantation from the estate. He called the plantation Lucknow (2, p. 368). 1842  McDowell died and left the plantation to his wife Catherine McCrea McDowell. She placed the plantation up for sale (2, p. 369).
?  Francis Weston purchased the plantation from Catherine McCrea McDowell and reverted the name back to Hasty Point. He also owned Breakwater Plantation (5, p. 3). 1890  Francis Weston died. His daughter Pauline opened a shop in Plantersville and was able to generate enough income to support her family and the plantation (2, p. 370). 1918  Pauline Weston sold the plantation to George McCormick for $10,400 (2, p. 370). 1920  George McCormick sold half of the plantation to Marriner Browning (2, p. 370). Prior to 1927  The plantation's original house was torn down (5, p. 3). 1927  George McCormick and Marriner Browning sold all the property of Hasty Point to Jesse Metcalf (2, p. 370). 1945  Jesse Metcalf died and his estate sold the property to Mullins Lumber Company which in turn transferred ownership to stockholders H.O. Schoolfield Jr., W.B. Schoolfield, Sue B. Schoolfield, Kate S. Gorham, and Mary G. Bynum (2, p. 370). 1959  The group sold the plantation to Williams Furniture Company of Sumter, SC (2, p. 370). 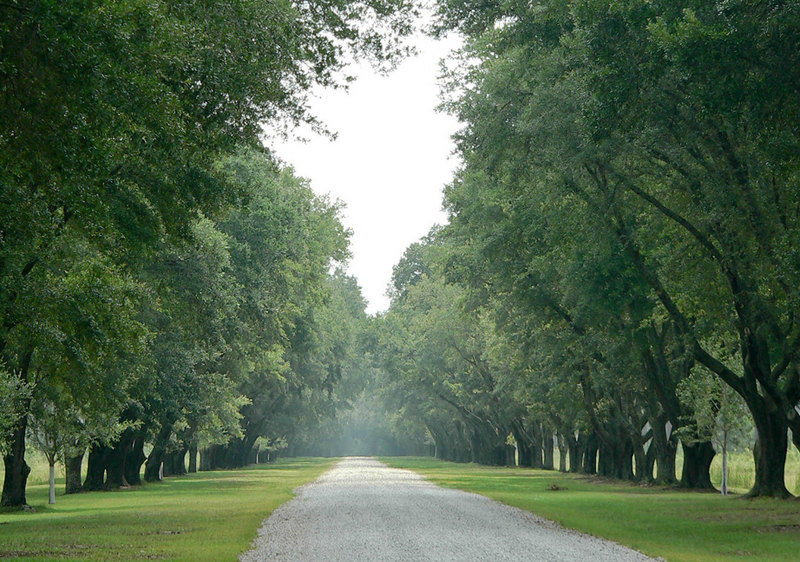 1960  Philip Van Every, former mayor of Charlotte, NC, purchased Hasty Point Plantation. He cultivated pines on the property which were sold to International Paper (2, p. 370) (4). 1979  Philip Van Every sold the plantation to Robert P. Scholfield III (2, p. 370) (4). A circa 1840-1850 construction barn has been restored (5). Information contributed by Chip Sisk, the grandson of owner Philip Van Every.